Our range of products include furnace transformers and electrical furnace transformer. Furnace Transformers manufactured by us are suitable for all types of machinery. These are available with furnace duty design that have necessary arrangements to suppress harmonics. We offer these in both standard and custom designs to meet the requirements of our clients. 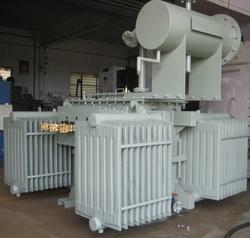 We are leading supplier of Furnace Transformers. Product manufactured by us are suitable for all types of machinery. These are available with furnace duty design that have necessary arrangements to suppress harmonics. We offer these in both standard and custom designs to meet the requirements of our clients.